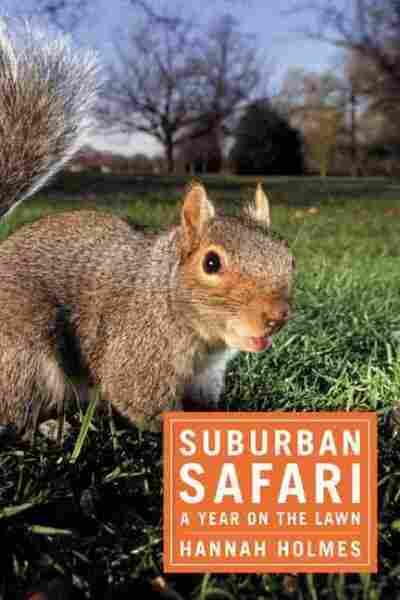 I adored Hannah Holmes' Suburban Safari: A Year on the Lawn. True to its title, it is a detailed, often wacky, account of absolutely everything that was happening on Holmes' two-tenths of an acre of backyard. Chipmunks and crows, ladybugs and weeds demanded Holmes' attention, along with trees, soil formation, pollution, early settlers and protective plant chemicals. Out of this chaos, Holmes constructed an orderly and amusing account full of useful information, much of which was new to me, -- and I've been looking at the same things she has for 79 years without seeing half of it. 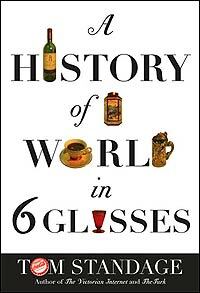 A History of the World in Six Glasses, by Tom Standage. As the title implies, it tells the history of the world by telling the story of the predominate beverage of that time from beer which may have spurred the transition from hunting and gathering to agriculture all the way to Coca-Cola which is the beverage of globalization. Along the way he discusses wine, spirits, tea and coffee. I'll never look at what I'm drinking as simply satisfying my thirst again. 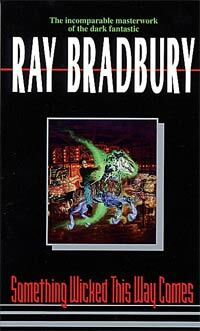 This summer I picked up and re-read Ray Bradbury's Something Wicked This Way Comes. It is set in a small midwestern town in which an itinerant carnival show (with a very dark side) makes a late season stop. When I first read this book I was in junior high school. I remembered the story as tense and frightening, with prose that conveyed the intensity of the fear, disbelief and confusion of the two thirteen-year-old protagonists who experienced true evil for the first time. It was the first book I ever stayed up all night reading. Having been born and raised in Los Angeles, I had never experienced such a thing, but I now live in a small Midwestern town and the big event this summer was a fair, replete with music, fireworks and a carnival. my first impression took me directly back to Something Wicked. The prose held up and the story was still compelling. and now my kids will be able to read it and understand why I will never let them go into the House of Mirrors. 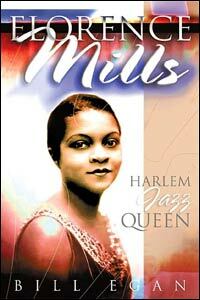 I enjoyed Florence Mills: Harlem Jazz Queen, by Bill Egan. It's an exhaustively thorough biography of a woman who was arguably the first international African-American female star of the entertainment world. In the 1920s, Mills was the unparalleled jazz artist of her generation. She had the distinction of turning down the great Ziegfeld for his "Follies" in deference to the work she felt her status obliged her to continue on behalf of her race. Mills is largely forgotten today, but Mr. Egan's affectionate and scholarly and immensely entertaining biography should correct that. His book is a monument not only to Mills' memory, but to the history of popular theatre as it matured via jazz from vaudeville to Broadway. I'm not lending my copy to anyone! 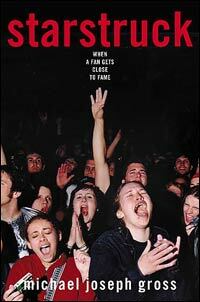 I very much enjoyed Starstruck: When a Fan Gets Close to Fame, by Michael Joseph Gross. It recounts both Gross's own brushes with famous people as well as with average Americans who make a living (or at least a hobby of) trying to get within autograph-signing reach of celebrities. It's not just an entertaining book, but quite thought provoking, making me wonder why I care so much about "stars" and what makes them seem so much better than your average working class slob. 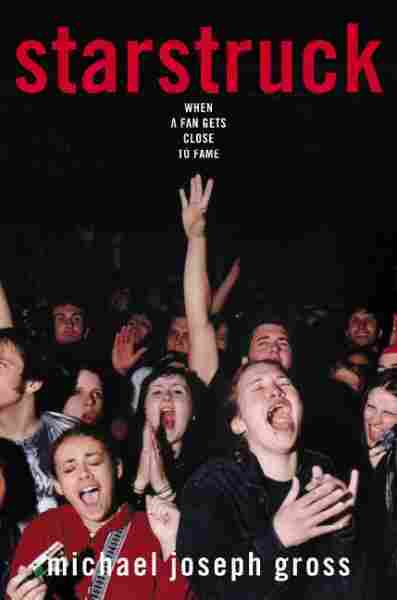 It takes a good hard look at the seemingly insatiable appetite of Americans for "fame." Did it make me stop reading People and US weekly? No... but it definitely made me think about why I want to!